CUT RESISTANT MECHANICAL GLOVE, SE6141 - Pan Taiwan Enterprise Co,. 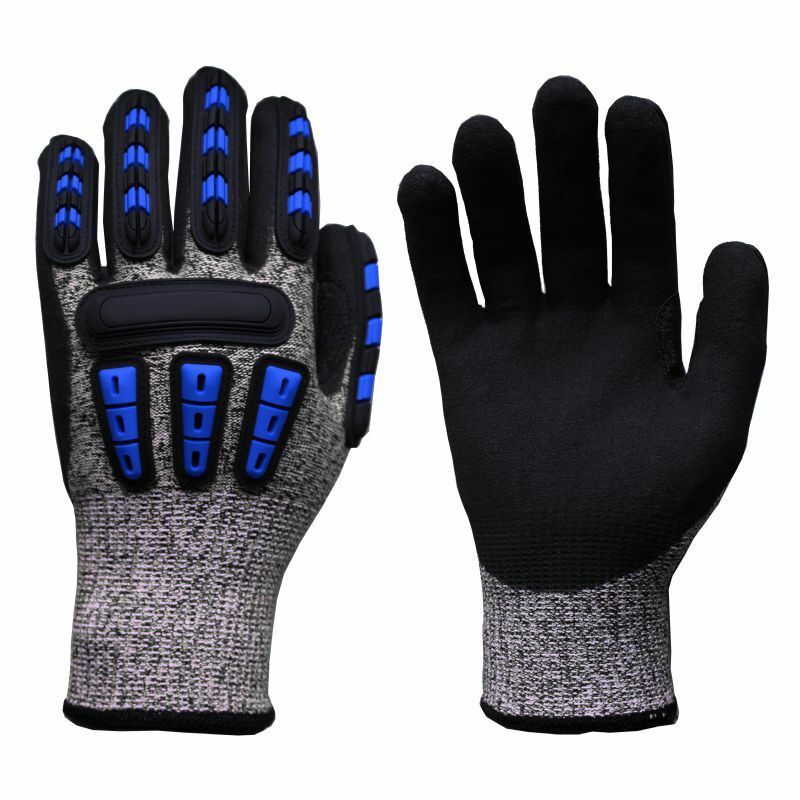 Ltd.
13 gauge nylon & HPPE blended seamless shell, with black sandy nitrile dipping on palm; Separate TPR pads on glove back and fingers to make more flexible and comfortable; Reinforced thumb crotch well for extended wear; Washable. Applications: Gas & Oil industry, Offshore exploration, Rescue work, Heavy duty impact, Construction, Cutting application, Metal fabrication, Mechanical workshop, Automobile, Hand and power tool usage.